It’s Wednesday morning at Liberty Elementary School on the Margate-Coconut Creek border, and fifth-grade teacher Keri Carrow is reviewing a science lesson with her students. The fifth-grader is an English Language Learner student, having moved to the States from Cuba about two months ago. With Vargas’ help, he is learning fast, as evidenced by his A on the test. Around the school that morning, Vargas’ 33 classmates also are meeting with young students as part of their Latinos in Action class. Community service, such as mentoring, is a hallmark of LIA, a leadership program founded in 2001 in Utah, which is now in more than 200 schools across the country. Monarch’s members mentor students at Liberty and Margate Elementary, most of whom are ELL students. The appreciation is mutual. Carrow, says her three students being mentored “light up” when the LIA students arrive. Mentoring also helps the high schoolers. 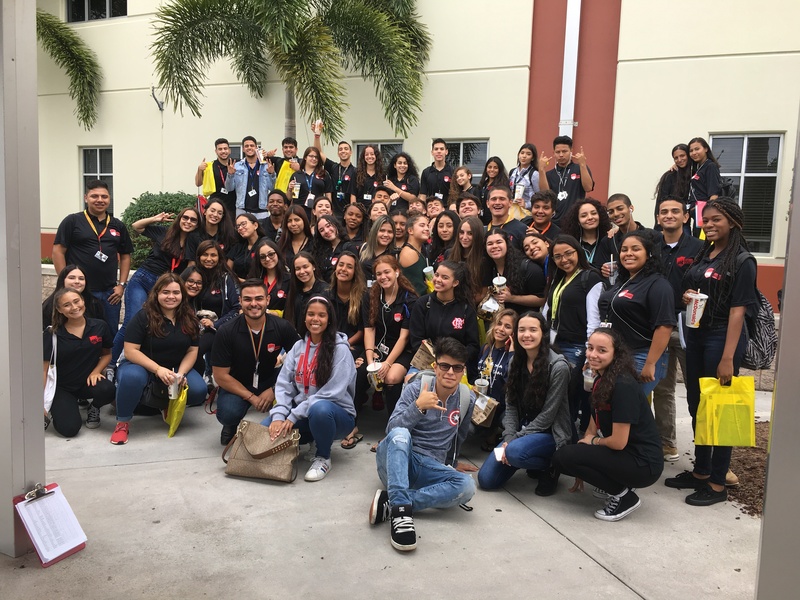 Monarch’s LIA instructor, Christopher Machado, who teaches almost 80 students in two LIA class sections, says that knowing someone is looking up to them makes his students better people. “Excited” is also the right word to describe the energy in Machado’s classroom that Friday. He starts class with questions for a journal entry and discussion, asking students to write about the importance of having a good GPA and how it will affect their college careers and future incomes. This is the other component of LIA: preparing students for their futures. The curriculum emphasizes scholarship and college searches, financial literacy, character development and information on educational resources that help them enter colleges and vocational schools. They also hear from guest speakers. Describing the class, Machado echoes words from one guest speaker: Juan Garcia, a senior director at ACT Center for Equity in Learning. “It’s not about an achievement gap. It’s about an opportunity gap—and showing them, ‘Hey, these opportunities exist. Let’s get to them,’” Machado says. For now, there are opportunities in the classroom. To accomplish their goals, each class has six committees (including social, service, professional and fundraising) headed by a vice president, chosen by their peers. Overseeing the vice presidents is a class president. This growth is paralleled in the number of LIA students. Now in its third year, word has spread around Monarch, spurring Machado’s goal to increase the number of classes from two to four next year. As for the students’ goals, LIA has set their paths, especially for seniors such as Vargas. LIA started mentoring at Tradewinds Elementary and came to Liberty in the 2017-18 year through math coach, Elizabeth Valentino. She heard LIA founder José Enriquez speak at a Florida Association of School Administrators conference. There, she met Monarch’s principal, James Neer, who connected her with Pillsbury. Valentino oversees the program with Liberty’s literacy coach, Lauren Bishop; both are happy to see the confidence Liberty students have gained through mentorship. “It motivates them that another person cares about their educational success,” Valentino says.